Water, Air and Space. 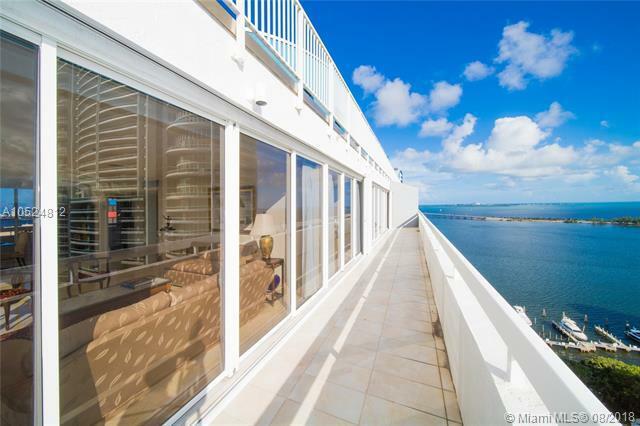 Breathtaking living with stunning bay and city views in this spacious penthouse level skyhome. 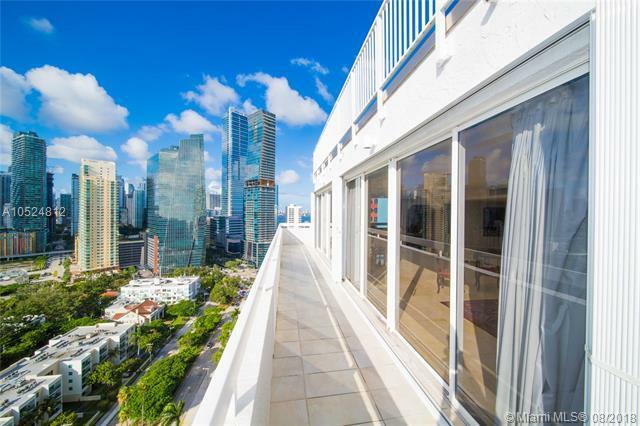 Floor-to-ceiling windows open to oversized wraparound balcony with access from most every room, creating bright, light interior space. Gorgeous 270-degree bay, city and sunset panoramas. Marble floors throughout. 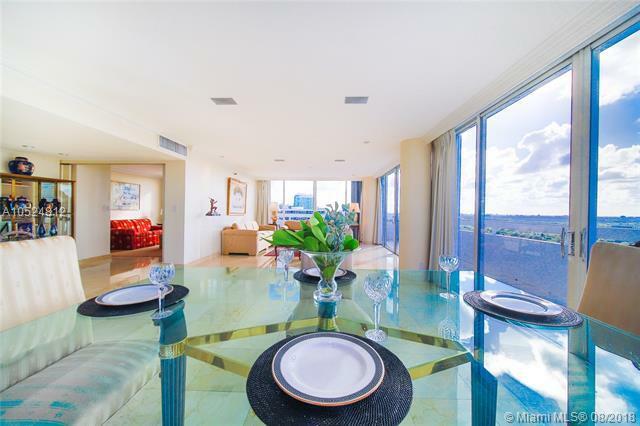 Large open living and dining flows onto the terrace, perfect for entertaining. Unique layout, with a generous foyer, long and glamorous hall to living areas and stacked private bedrooms. 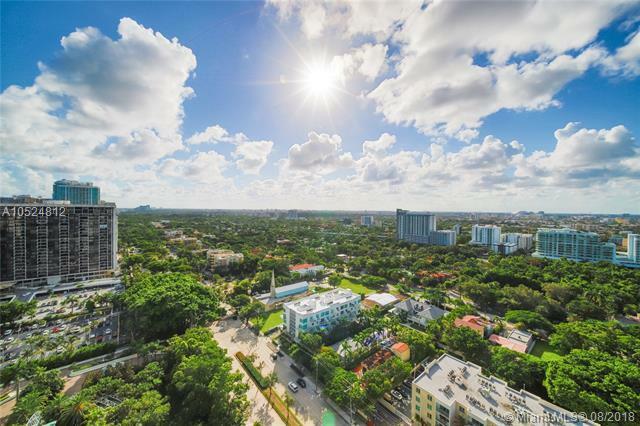 Designed by iconic Arquitectonica in the tree lined section of tranquil South Brickell, quietly perched above the hustle and bustle of Brickell shops, restaurants and offices, on over 5 private waterfront gated acres with baywalk, pool, spa, fitness, tennis, valet and market.